With over 13 years of sales & highly satisfied clients in the Charlotte area, Mike Soden Homes has proven to be an excellent partner for your Real Estate needs. “We found in Mike a very informed and professional realtor. He caters to our business needs and is very flexible in helping us with market research to find suitable investment properties. Mike is always easy to reach and never rushes us in to decisions. We appreciate his real-estate knowledge and thoroughness in preparing documentation as well as walking us through closings. We look forward to working with Mike in the future”. 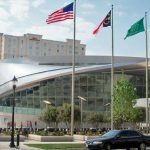 With 150,000 square feet of fun, the NASCAR Hall of Fame is the ideal place for your next family adventure. 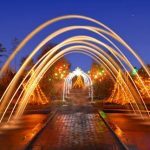 Daniel Stowe Botanical Garden, the Carolinas’ Garden for All Seasons, provides guests a chance to reconnect with nature. 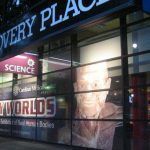 Discovery Place will introduce you to a world of wonder, where science astonishes, educates and entertains. 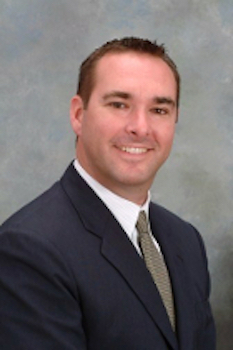 Mike Soden is a licensed Real Estate Broker in both North Carolina and South Carolina, primarily servicing Ballantyne, Marvin, Waxhaw and Weddington in the Charlotte Metro area. With a Marketing degree from the University of Illinois/Urbana and thirteen years of Real Estate Sales experience in the Charlotte area, Mike’s business savvy and depth of knowledge are a tremendous asset to those who are searching for the right Realtor. He has consistently been a Top Producer in his firm, and for six consecutive years has been awarded the Five Star Agent designation by his clients for excellence in service – only 6% of agents receive this designation! Mike and his wife Anna, relocated to Charlotte from Chicago in 2006. They love raising their two young daughters in Charlotte, with everything it has to offer. In his free time Mike enjoys volunteering to coach his daughter’s soccer teams, playing golf & family trips to the beach. “My top priorities are my clients’ interests and satisfaction,” says Mike. “My approach is to provide consistent and reliable service, with a professional attitude, but most importantly, to take the time to understand all of my clients’ needs.” His motto is “Helping Families Make the Right Move”. Contact Mike Soden to discuss listing your current home or purchasing a new one. You will be well represented by a Top Charlotte Agent! Our top priorities are our clients’ interests and happiness. Our approach is to provide consistent and reliable service with a professional attitude but, most importantly, to take the time to understand all of our clients’ needs. With over 13 years of experience as a Realtor and 7 years of previous experience in marketing, we are confident that our diverse perspective, business savvy and market expertise will be enormous assets when buying or selling a home. Copyright Mike Soden Homes 2018. All rights reserved.